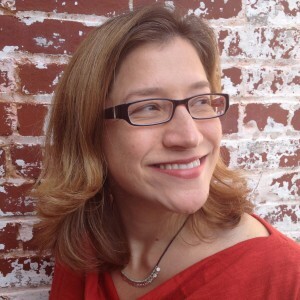 Cathy Bruce is a graphic designer and illustrator with twenty years of experience. She graduated from the Columbus College of Art and Design and has been a freelance designer, a business owner, and worked for The Education Center, Suburban Hospital, Peter Li Publishing, and others. She is currently a graphic designer at the Association of Women’s Health, Obstetric and Neonatal Nurses. Cathy joined AIGA Blue Ridge’s Board of Directors in 2014 and helps run the AIGA Essentials Design Meetup. She lives in Frederick, MD with her husband, son, dog, and insufferably smug cat.